Sean was born unto union of Mr. and Mrs. Devereux in England on November 25,1964. Sean was an ordinary man who did something extra ordinary with his life. He wore jeans a true an t-shirts, but his real hunger and thirst was for peace and justice. Sean Devereux was a pupil at the Salesian College in Farnborough between 1975 and 1982, when he was living in Yateley, near Camberley in Surrey. In his last year he was a very popular school captain and after graduating at Birmingham with combined honours in Geography and Sports Studies in 1985, he continued his studies, completing the PGCE at Exeter. 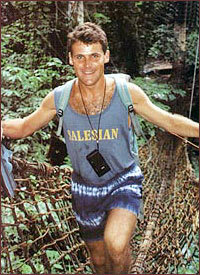 He then began teaching at the Salesian School in Chertsey, Surrey in 1986. During these years, Sean was a very active and enthusiastic member of the Salesian Cooperators and the Salesian Past Pupils’ Association. Sean took part in a wide range of activities with and for young people not only in England but also abroad, attending a number of European and international events. On one of these, he met Pope John Paul II in Rome. 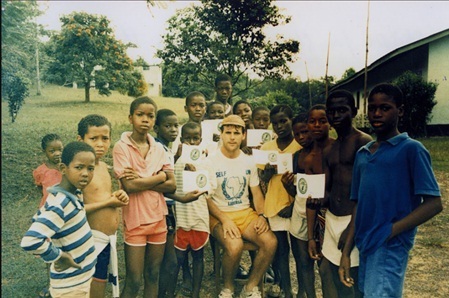 In February 1989, Sean went to Liberia as a Lay Volunteer working with the Salesian community at St. Francis School in Tappita. 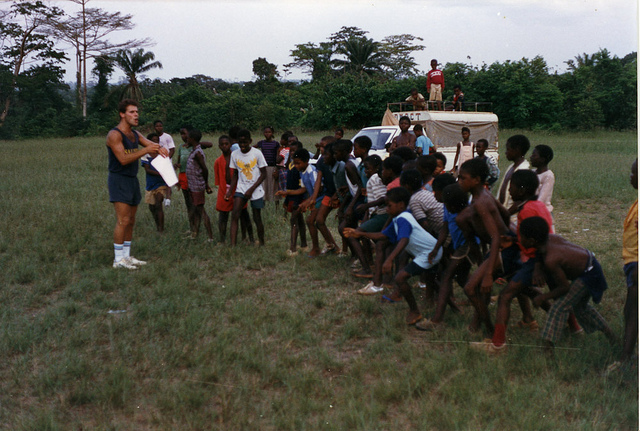 When the school closed in 1990 as a result of the Civil War, Sean stayed to work with the United Nations in relief operations. 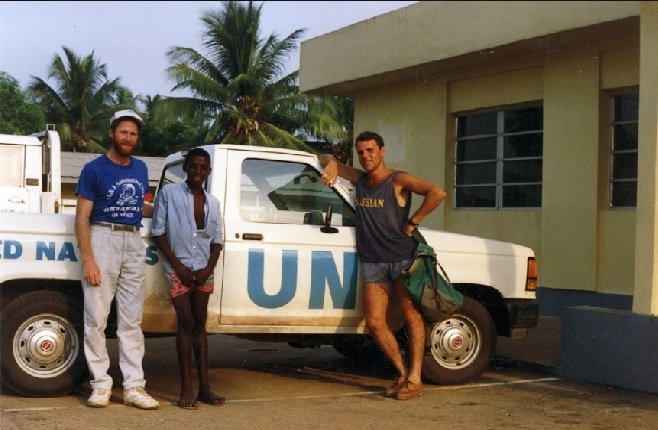 After numerous adventures, he finally left Liberia in 1992 to begin working with UNICEF (the United Nations Children’s Fund) in Somalia in September 1992. Sean was shot dead on January 2nd 1993. 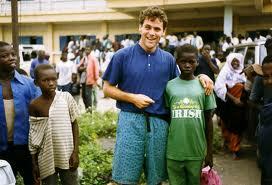 Sean, who was 28 when he was murdered, had spent nearly five years helping the poorest of Africa’s youths. He had worked first in the West African republic of Liberia, then briefly in Sierra Leone and for the last half year of his life, in famine-stricken and turbulent Somalia. Sean was aware that he was moving in dangerous waters, but he did not hesitate. “While my heart beats, I have to do what I think I can do – that is, help those who are less fortunate”, his father, Dermot, remembers him saying. In Liberia he was savagely beaten by soldiers when he confronted one of them attempting to steal food meant for the refugees. On another occasion he was imprisoned for pleading for the release of a teenager who had rushed up to him in tears. The youth had been his student in a bush school of the Salesians, and was later drafted into the army as a child-soldier. 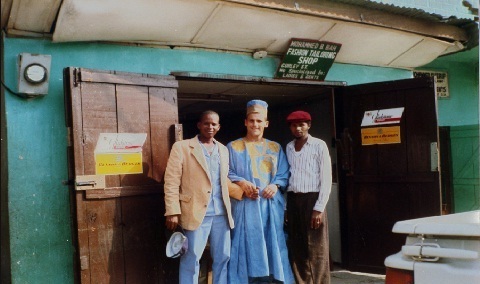 In 1990, the civil war forced the closing of schools including the Don Bosco school where Sean had taught and Sean joined the UN refugee program. People were being massacred, normal food supplies had been cut off, and homes and shops were being destroyed. As the fighting reached its height, Sean and other relief workers were ordered out of the country. 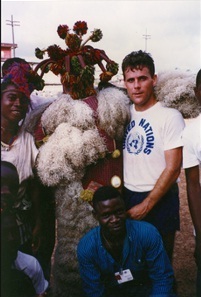 UNICEF invited him to work in Sierra Leone, an Atlantic neighbour of Liberia’s on the north. As a Salesian Co-operator who had promised to live the spirit of Don Bosco in everyday life, Sean accepted the challenge at once. Salesian Father Brian Jerstice was not surprised at Sean’s decision. He had seen Sean at work in Liberia. In fact, he had known Sean since he was an 11 year-old student at the Salesian College in Farnborough. At Birmingham University, Sean majored in physical education and geography. He then taught for three years at the Salesian school in Chertsey, a village of gardens and flowers on the Thames, less than 20 miles from London. At Chertsey he also managed the rugby and cricket teams. Although successful and happy at Chertsey, his ideals were calling him elsewhere. When he learned that British Salesians were working in Liberia, he volunteered to join them and his offer was quickly accepted. Somalia was a test of Sean as well as of the world. From the frying pan of Liberia’s civil war he headed with optimism into the fire of Somalia with its anarchy, famine, and live-by-the-gun environment. In Somalia, UNICEF assigned him to organise relief for the starving, with particular concern for the children. His point of operation was Kismayu, the stronghold of one of the many warlords who had made the lives of so many people seem hopeless. Kismayu was truly a hot spot. Once, Sean had to be evacuated because of the tumultuous conditions. But he was soon back in Kismayu to continue his service to others. On the night of Saturday, January 2, Sean was shot in the back by a lone gunman while he was walking near the UNICEF compound in Kismayu. He was the first foreigner slain in Somalia since the arrival of the U.S.- led military force the previous month to assure delivery of food to the hungry. There was speculation as to why he was singled out. Some recalled that Sean recently had told the media of eyewitness reports he had received of a massacre of scores of people on the day before the U.S. Marines landed in Somalia. Dermot Devereux and Father Brian agreed that Sean’s outspokenness about conditions might have led to his death. At the Requiem Mass in Sean’s parish church in England Father Brian delivered the homily. He referred to a favourite saying of Don Bosco about the need for saints in shirtsleeves – people who do not face evil and suffering with fatalism and indifference, but who roll up their sleeves, and get down to work to make things better. Those who packed the village church seemed to agree that Sean Devereux fit Don Bosco’s description. 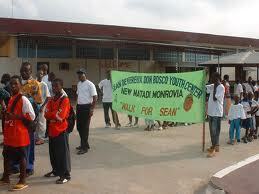 Sean was remembered in Somalia, too. Three and a half weeks after Sean’s murder, foreign forces completed rebuilding the bridge over the Juba river at Bur Koy, north of Kismayu. The reconstructed bridge made possible delivery of food to families who had been isolated on the other side. There was an international ceremony attended by the American envoy, Robert B. Oakley and Brigadier General Lawson Magruder of the United States Army. The ribbon was cut by the local representative of a major clan leader. The rebuilt bridge was formally dedicated to Sean Devereux. From: “While my Heart Beats“ – the Sean Devereux story.